Below are two reflections from Richard John Neuhaus’s book, Death on a Friday Afternoon: Meditations on the Last Words of Jesus from the Cross, Chapter 3: A Strange Glory. To read my reflections from Chapters 1 and 2, please click here. I admit it, I hate this. I hate that we can’t own them and have total security that what God has given us will be ours forever. 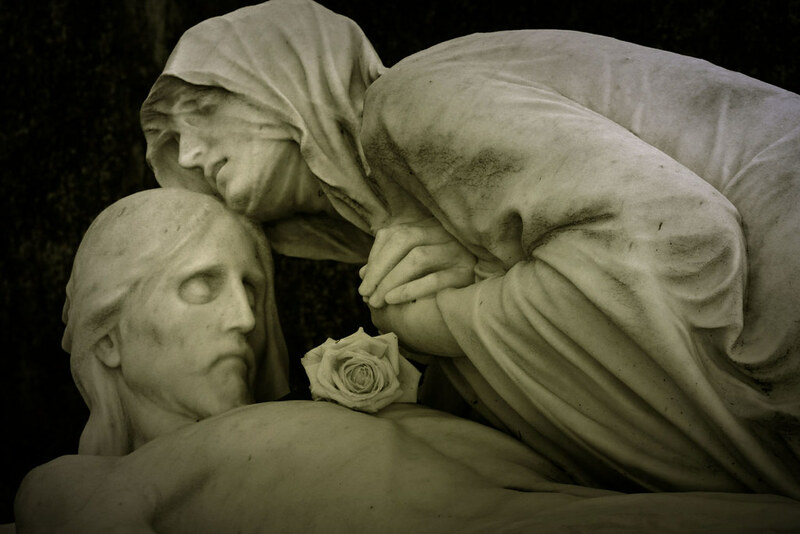 “Our children are on loan,” and no one demonstrates that trust better than our Blessed Mother who was entrusted with the greatest gift imaginable, who, as Richard John Neuhaus explains in the third reflection of Death on a Friday Afternoon. But it doesn’t go the way we want it to or the way he should. Something has gone wrong, and that something has gone wrong echoes down into the deepest chambers of the woman’s heart when she sees her child die. Mater Dolorosa. Workshop of Dieric Bouts the Younger, c. 1470–75. Why does God do this to us? Why does he allow us to hurt and ache? Why does he allow those to hurt who can hurt and ache on the deepest level imaginable, deeper than can be imagined, a mother? It makes motherhood a fearful thing. The disciple is not above the master. Perhaps, because when a mother loves, she is most like God. Though Christ was male, though God is our Father, he loves with a perfect and complete love. So the love of a mother is as God loves. The love of a father is as God loves. They both are met in perfect unity with God. And so in motherhood, I can learn the way God has laid for out for me to love him more perfectly by loving with a self-emptying love. By nursing as long as she needs to. By waking again and again and again. Mary is the model of discipleship in her total availability to the will of God. In her total availability to God, Mary is totally independent and totally dependent upon God’s providing. True availability to God overcomes the fear of being dependent on others, for God provides. It is our determination to be independent by being in control that makes us unavailable to God. It is indeed a strange glory, paved with broken hearts.